At first glance, you might think the Magic Flight Launch Box was made in somebody’s wood shop class. And that assumption isn’t too far off. But don’t let that fool you into thinking this tiny portable vape can’t deliver, because in a sea of cheap Chinese vapes and expensive luxury options, the Magic Flight Launch Box (MFLB) offers a breath of fresh, tasty, and cloudy air. Some new vapes come packed with fancy bluetooth apps, LED lighting schemes, and other technology that seems better fit for the latest iPhone than a vaporizer. That’s not a bad thing at all, but it’s refreshing to see a company like this take a completely opposite approach. The natural simplicity and pure effectiveness of the MFLB make an easy favorite, and that’s just one reason it found a place in our best portable vaporizers of 2017 roundup. 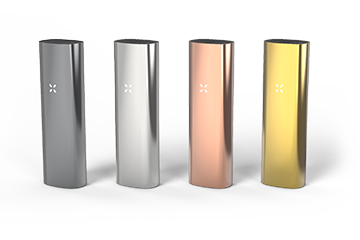 Only a few vaporizers stand in the Hall of Fame – the Volcano, Pax and Firefly are great examples that wowed us with innovative design and top notch performance. And now we should make room for another entry – the Magic Flight Launch Box. Dubbed the world’s “smallest, fastest, portable vaporizer”, the MFLB shows off a compact, handmade wood design that certainly looks much different than the futuristic Pax or Firefly. 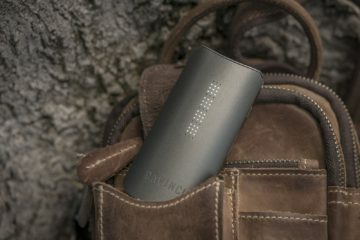 While some companies pack their vaporizer with all sorts of fancy technology, the launch box takes the opposite approach, aiming for beautiful, natural simplicity that just works. Not everyone wants to feel like they’re smoking out of a piece of technology that might fail with the next operating system update. Their approach seems to have worked, as they have gained a massive following of die hard fans. 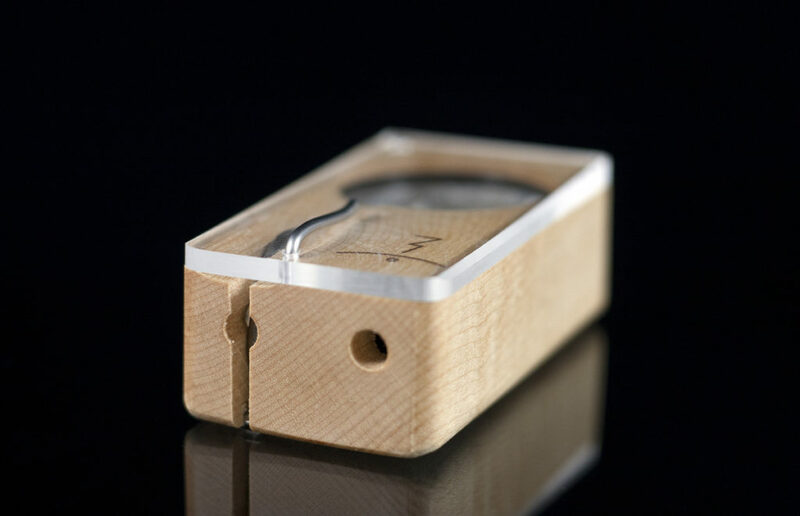 The MFLB is made from a solid block of wood (cherry, maple, or walnut) and contains no plastic or metals. 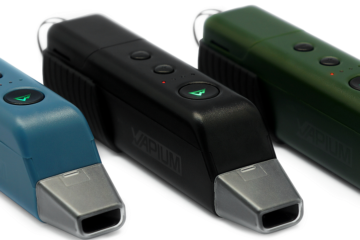 It’s a very compact vaporizer that works on rechargeable batteries. The small size makes it perfect to take with you anywhere you go. The simplicity also keeps costs down, and you’ll be hard pressed to find a better vape in the $100-150 price range. This vaporizer works on one AA rechargeable battery (you must use these, or other rechargeable batteries), meaning you can easily carry an extra and eliminate the worry that your vape might die at any minute. That’s a HUGE plus. After all, we’ve all had a vaporizer die at the most inopportune time, and having the ability to bring an extra battery along makes that less likely. The batteries are made to last around 500 recharge cycles. One fully charged battery allows us to go through 2-3 loads, with 4-8 draws per load. 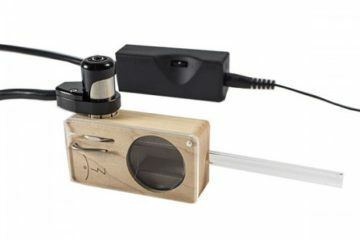 The Magic-Flight Launch Box is a conduction vaporizer. Nowadays most vapers prefer a convection style heating unit, which delivers thicker, better quality vapor and more accurate temps. The upside of their conduction design? It heats up super fast! It’s right on par with the Grasshopper vape in terms of heating time, reaching 380F four seconds after it has been started. Not many vapes can claim that sort of “on demand” heating time. One thing worth mentioning is that you must partially remove the battery after every draw to avoid overheating the load. This vaporizer only uses the necessary amount of energy needed when in use, making it one of the most energy-efficient vaporizers on the market. The MFLB heats up fast, taking only 3-5 seconds to start creating vapor. It’s pretty simple to use, just press the battery in and it starts right up. You’ll notice a faint light under the herb which indicates the unit is on and heating. This thing definitely has a learning curve and requires a little finesse to get the best experience. In order to get the best vapor quality, you’ll need to finely grind your herbs, but that’s generally true no matter what vape you’re using. One helpful tip we found was to shake the vaporizer between each draw, or flip the bowl to mix the herbs so that they are heated evenly. For the thickest, best tasting hits you need a certain technique. Basically it works best when you inhale slow and steady so that the vaporizer has time to create more vapor. Since you control when the herbs are being heated by engaging or withdrawing the battery, the MFLB vaporizer only creates the amount of vapor that you need. On the magic flight website you can purchase accessories like acrylic, glass, and wood draw stems, wood dart draw stems, battery cases and herb grinders. Battery Life and Capacity: Uses one rechargeable AA battery that lasts 2-3 loads. Heat Up Time: It takes around 4 seconds for the vaporizer to heat up to 380F. 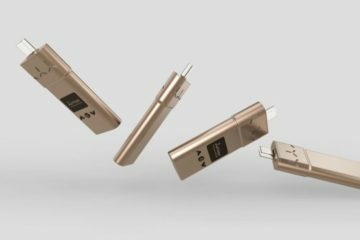 If you want one of the most unique, affordable, and effective portable vaporizers on the market, the Magic-Flight Launch Box perfect for you. The wood design stands apart from other shiny, polished vapes out there and we love the entire philosophy behind this little unit. 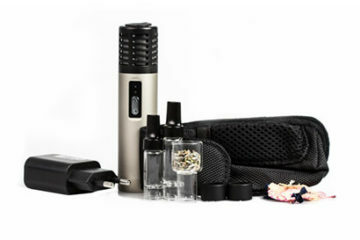 This portable vaporizer is made in the USA (San Diego, CA to be exact) by the Magic-Flight company, and will last a very long time given its simplicity in design. Plus, if anything does go wrong, the company seems to have a very good track record with customer support. The Magic-Flight Launch Box vaporizer is a great option for beginners or the casual vaper who just wants something discrete and elegant. For seasoned vapers looking to get the biggest clouds and pure terpy flavor, it’s probably not a great choice. A classic. Unbeatable for the price and build quality. DaVinci iQ: the best portable conduction vape yet? Airvape XS – Does it live up to the hype?